George has no interest in exploring the world. He's far too busy at home baking fine pastries. Or so he tells his friends when they invite him along on their wonderful adventures. But when Pascal digs a little deeper, the real reason George won't leave home is finally revealed ..... read full description below. George has no interest in exploring the world. He's far too busy at home baking fine pastries. Or so he tells his friends when they invite him along on their wonderful adventures. But when Pascal digs a little deeper, the real reason George won't leave home is finally revealed ...From award-winning author and illustrator Gus Gordon comes this irresistible story about a duck called George, the possibility of adventure, and taking risks to realise what you value most. 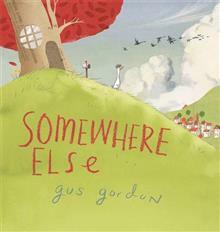 Gus Gordon is an internationally acclaimed illustrator and author. He has illustrated and written over 80 books for children. His illustrations are known for their loose and energetic line work, mixed media and humour. His writing is always anthropomorphic. He attributes this to his love of Kenneth Grahame's Wind in The Willows. Gus's first picture book, Wendy, was a Notable Book in the 2010 Children's Book Council of Australia (CBCA) Picture Book of the Year Awards. His second picture book, Herman and Rosie, now published in twelve countries, has been internationally acclaimed and awarded. 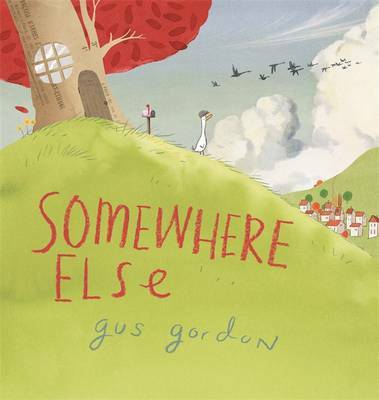 Gus's latest picture book Somewhere Else will be published by Penguin Random House Australia in 2016.